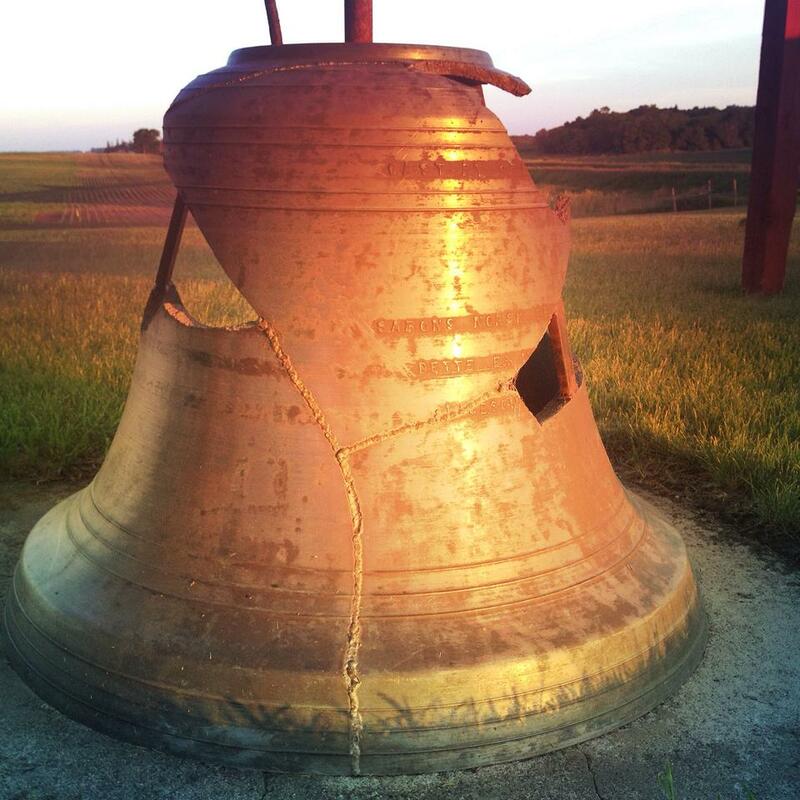 The bell from Saron Lutheran was destroyed when thieves tried to steal it. Now it is all that remains of the church in the Saron Lutheran (Hamden) cemetery. The bell is inscribed in Norwegian with the name of the church and the verse from John 15:12 (Love one another as I have loved you). If you want to find this cemetery, head north out of Audubon, MN on highway 13. When the road turns to gravel, take the first left. The cemetery will be one mile ahead on your left. 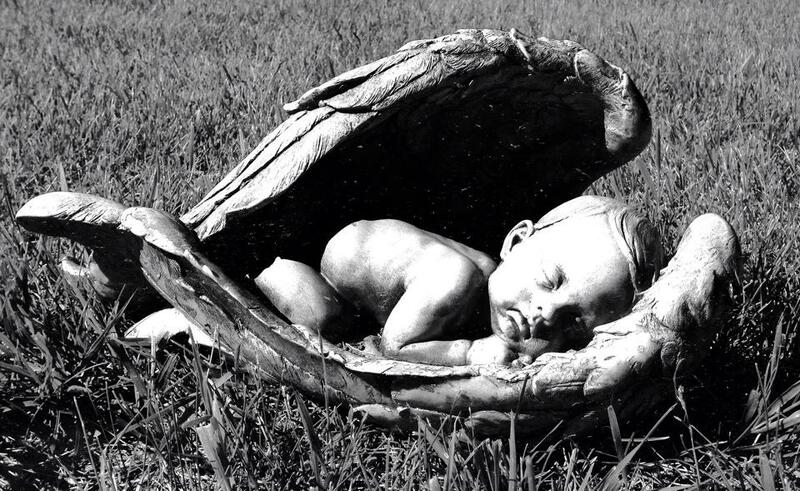 This sweet statue sleeps next the grave of a baby buried at Saron Lutheran Cemetery.